One of the most popular questions I get when I speak about online marketing is how to drive more traffic to a web site. Eight different techniques for doing just that are outlined below. Save this article, and refer to it for additional ideas whenever you try to expand your online marketing campaigns. Start a blog for your business and update it on a regular basis. A business blog is an excellent tool to toot your own horn, let the world know about your new products, and tell your target customers why they should do business with you, rather than your competitor. A business blog is also a great tool for attracting potential customers to your blog and your web site. – Search Engine Optimization (or SEO). – Article Writing and Publishing. This is another great way to drive traffic to your web site. When you write and publish your articles, other web site owners pick them up and publish them on their web sites, while giving you a link back to your web site. Keep in touch with your clients and potential clients by sending out a newsletter on a regular basis. Every time you send out a newsletter, don’t forget to invite the subscribers to visit your web site. Mention your web site address in your signature when networking online. Make sure that your web site is prominently displayed on the page, provided to you by every online networking service that you participate in, so that your fellow networkers can visit your web site. – Pay Per Click Search Engines. Here you can control exactly how many new visitors you want to get. There is a catch, though — you have to pay for every click to your web site. Make a budget and stick to it an make sure to monitor your account – those clicks add up fast. An affiliate program is another way to drive traffic to your web site. Your affiliates are your commissions-only sales people who make money when they sell your products. They drive traffic to your web site in exchange for commissions on sales. 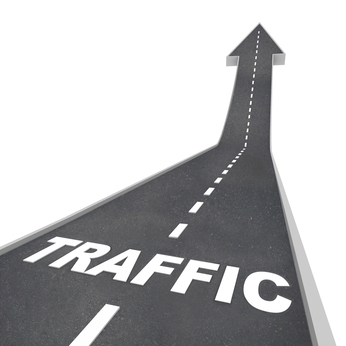 Today I have discussed eight different ways of driving traffic to your web site. Which techniques are you not using yet? Take one of the techniques and incorporate it into your marketing plan. You will get a whole new pool of web site visitors coming to your web site. Do you think this article is useful?? You can get more useful articles directly to your email. It's easy and FREE. Just type your email in the field below.